Although 14 years have passed to the Kargil operation May 1999 but it is the still hot topic of discussion. Pakistani public is still unable to decide that whether the Pakistani attempt to capture Kargil peaks was right or wrong as they are part of Indian Held Kashmir; in such an environment that in spite of Shimla accord India is not ready to withdraw its forces Siachen which was captured by aggression while the only supply route for Indian aggressive forces present in Siachen passes through Kargil. In such situation was the cutting of supply route as a war strategy was right or a foolish step? Moreover, pro-Indian elements present in our media mutilate Kargil war and portray it as defeat of Pakistan just like as Indo-Pak war of 1971. These traitors are does not pay any heed to the negative impact of their propaganda (for dollars from India) on the morale of soldiers fighting a war within the country waged by Indian terrorists and agents. In the last days when India was internally and externally under pressure due to confession of many extremist Hindus for being involved in many terrorist attacks and activities like burning of Samjhauta Express; moreover India has also realized that after withdrawal of US forces she will have no role in Afghanistan and continuity of Indian sponsored terrorism in Pakistan will become impossible; so in order to divert the attention of Indian public and get herself out of pressure or perhaps for some future aggressive plan India started unprovoked violations and firing at LoC. First of all two of the Pakistani soldiers were martyred in an unprovoked firing and created tension on LoC igniting war mania in Indian public. In such serious situation the book written by General (R) Shahid Aziz (who was himself part of Kargil Operation) ‘Ye Khamoshi Kb Tk’ is something unexpected; moreover who always preferred to use English as his communication language suddenly publishes a book in Urdu makes this more suspicious. Another point of importance is that the introduction ceremony was done by such a Pakistani anchor who had gave the statement three months ago while introducing the book containing memories of Mujeeb-u-Rehman that it is a historical document and this will prove a guide for Pakistani youth. However the shocking aspect is that a Retired General of army is alleging that in Pakistan from lower ranks to higher ranks everything is based upon just lies. 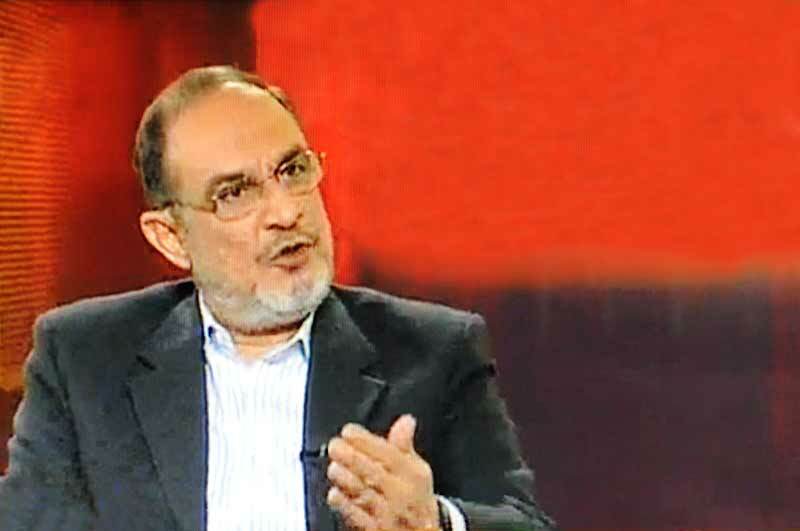 After few days people would forget General (R) Shahid Aziz and his book but the discussion over Kargil war will continue because it yet needs to ascertained that who was responsible for this operation and what were the reasons behind the failure of it. 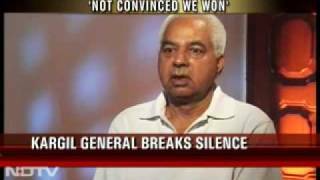 An Indian General who was part of Kargil war, ‘General Kashan’ said in an interview to Indian TV “ Kargil was won at political and diplomatic level which was claimed as military success”. But what should of those who are earning their livelihood from India in the name of AMAN KI ASHA as they are misleading general public that this war was won by Indian Army? However for the interest of our valuable readers we will just present here headlines that appeared in the Pakistani newspapers from 10 May to 8 July 1999. After reading these headlines one can easily understand that what was happening during the war, what was the stance of Benazir Bhutto, opposition leader of that time, what were the claims of the govt. of that time and how India got Kargil peaks back. In spite of all this the final decision would be of the commission established to investigate Kargil war. 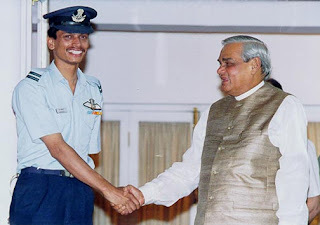 10 May 1999: Skirmish in Kargil Sector; “Pakistani army bombarded Kargil Cantt with bombs resulting in outbreak of fire in ammunition depot and it was totally destroyed” Statement by Indian Defense Minister. 12 May 1999: The skirmishes between Indo-Pak forces grew intense. 15 May 1999: Pakistan army claims to capture 5 Indian posts, fierce fighting over the LoC; Indian preparations for a full fledged war are at peak. 16 May 1999: Indian routes to Kargil cut down; Pakistan army captured 7 more Indian posts. India leaving no stone unturned to recapture lost posts. 17 May 1999: Pak forces captured Srinagar-Ladakh Road; war spreads to Daras Sector; India brings in Gunship Helicopters and Air-force. 18 May 1999: A big attack on Kargil prepapred; Pak Army on red alert. Nawaz Sharif ordered Leadership of army to give a befitting reply to India. 26 May 1999: The consequences have grown out of tolerance, Pakistan wants to capture Indian Held Kashmir; Indian PM Wajpai’s call to Pakistani PM Nawaz Sharif. Indian Helicopter destroyed in Kargil. It has become difficult to remove Pakistan from its current position; Indian Army. 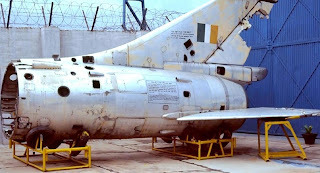 28 May 1999: Pakistan shot down two Indian Mig Fighters; Debris of Mig-21and Mig-27 scattered over large area in Pakistan. One pilot died in the clash while other has been arrested as prisoner of war. Both fighter jets got airborne from Srinagar airport and entered 15 km within Pakistani borders, Indians were violating Pakistani airspace since many days. One day ago Indian fighters succeeded to flew away after targeting Pakistani posts with rockets. Pakistan protested on the international level over violation of air space, USA, UK, France and Russia demanded explanation from Indian. Before arrest Indian pilot of crashed fighter fired at Pakistani soldiers; however Pakistani soldiers took it appropriate to arrest him alive. 30 May 1999: ‘If India ever made mistake to attack Pakistan we will give a historical reply’ Shahbaz Sharif. ‘I am ready for talks but will not stop attacks’ Indian PM Wajpai. 1 June 1999: ‘War with Pakistan is not Child’s play’ Shahbaz Sharif. ‘Freedom fighters in Kashmir are not terrorists but Mujahideen and freedom fighters. ‘India violated Lahore Declaration, India forced Mujahideen to enter in Indian Held Kashmir’ Benazir Bhutto from New York. ‘Ready to negotiate to take back our captured areas, if needed war will be intensified’ Wajpai. 2 June 1999: Pak-Army thwarted 3 major Indian army attacks; Pakistan Army. Pakistani forces have been deployed on Jammu, Punjab, Rajasthan and Gujarat Borders. 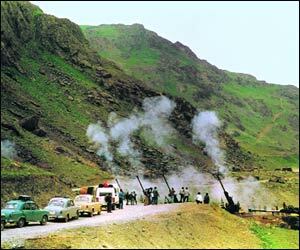 “17 thousand high peaks are under control of Pakistan, Jammu-Kargil road is also within the range of Pakistani artillery” Indian Army. Whole Kashmir belongs to Pakistan; India should come to talks to avoid destruction. 3 June 1999: Talks will be held this week, India will hold unconditional talks, Wajpai. Indian forces besieged in Daras, in spite of the use of air and land forces unable to break down the siege of Mujahideen. Indian forces facing difficult conditions, intense weather and rapidly falling morale of Indian army also a hurdle for Indian army to continue war; Indian Media. Indian Pilot (POW) released, Indian high commissioner declined to receive him; handed over to Red Cross. 6 June 1999: India deployed 6 extra divisions of army to Indian Held Kashmir; preparing for a big attack. In order to supply weapons in large amount Srinagar-Kargil road has been blocked for civil traffic, even journalists are not allowed; face to face fight is going on with Mujahideen. Struggles are going on to recapture the peaks; Indian air force is facing failure in air strikes; press conference of spokesperson for Indian army.